Pictured is the barn in question located at Adventure Park in Powell. A barn that has stood for 126 years in Powell will, in all likelihood, be demolished after Powell City Council discussed its options for the condemned structure, located behind the city’s Public Service and Parks Department at Adventure Park. The barn, which was originally built in 1894 and had additions built onto it in the 1940s and 1990s, had been used as a storage area for the Public Service and Parks Department up until 2014 when the barn was condemned. In particular, the second addition to the barn that was built in the 1940s has been deemed to be in poor and dangerous condition. According to a city report, the original section of the barn remains in “decent” condition, as does the most recent addition. A few members of the public were in attendance to speak on the barn, including Powell resident Lucy Hunter, who lives in one of the condominiums just north of the barn. Hunter said she has enjoyed the barn and the wildlife the barn often attracts, and she asked whether there had been any type of discussions about a possible fundraiser in the community to support a renovation of the barn, or utilizing donated time and labor to cut down on the cost of renovations. 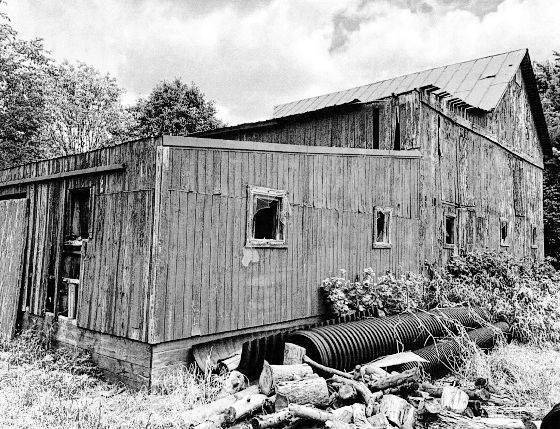 Ken Nekic suggested council reach out to the Ohio or National Barn Preservation Society for potential help, noting Ohio is one of the most active states in the country in regards to preserving old barns. He added the Mount Vernon Barn Company, which utilizes material from old barns to either rebuild the barn in a new location or use the materials for other purposes in their Mount Vernon Millworks line, might also be an entity to reach out to in regard to the barn. Following the closing of the public speaker portion of the discussion, Councilman Brendan Newcomb said the city would need an additional $34,000 on top of the $11,000 potentially appropriated for the barn’s demolition just to save the original structure of the barn. Councilman Brian Lorenz speculated that cost could end up being even higher given the poor state of the building’s structure. Later in the meeting, during the discussion on appropriation for the funds to demolish the barn, Powell Law Director Gene Hollins clarified that approving the appropriation would essentially be council’s decision on how to proceed with the barn. However, it was noted that appropriating the funds would not bind the city to the decision to demolish the barn, should they decide to inquire about the potential alternatives the public speakers suggested, nor would the barn disappear overnight because funds were appropriated. While the sentiment of all of council was that the city’s best option would be to tear the “attractive nuisance” down, two council members lobbied to give the interested public the chance to pull something off. Newcomb said the people coming up with the additional $34,000 to save the barn would be “a miracle,” but he voiced his wish to take it to a second reading in order to at least give them the opportunity. Following a vote to suspend the rule requiring three readings of the ordinance, the adoption of the appropriation passed with a 7-0 vote.